Mr. Fritz works in the areas of bankruptcy, debtor and creditor rights, insolvency, and commercial litigation. 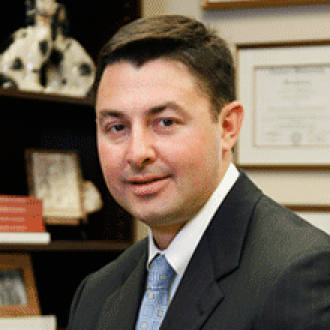 He has represented various individuals and businesses in complex bankruptcy proceedings. Most notably, he represented the FDIC in the Colonial Bank Chapter 11 bankruptcy. For eight years he was the Bankruptcy Attorney for the Bankruptcy Administrator of the Middle District of Alabama. As the Bankruptcy Attorney he had the responsibility of overseeing all Chapter 11 cases filed in the Middle District of Alabama. He is a member of the American Bankruptcy Institute and has been a frequent speaker on various bankruptcy topics at both legal and civic seminars. Mr. Fritz was in private practice prior to joining the Bankruptcy Administrator’s office. In private practice he has represented clients in insurance defense, employment and commercial litigation in State and Federal Courts throughout Alabama. Mr. Fritz is also a Major in the Army Reserve JAG Corps currently serving as a Brigade Staff Judge Advocate. He recently spent a year on active duty as Defense Counsel for the Army’s Trial Defense Service – Europe. Additionally he volunteers with his church, the Capital City Kiwanis Club and the Montgomery Ultimate Club. The Student Loan Bubble: Can Bankruptcy Help Ease the Pain?